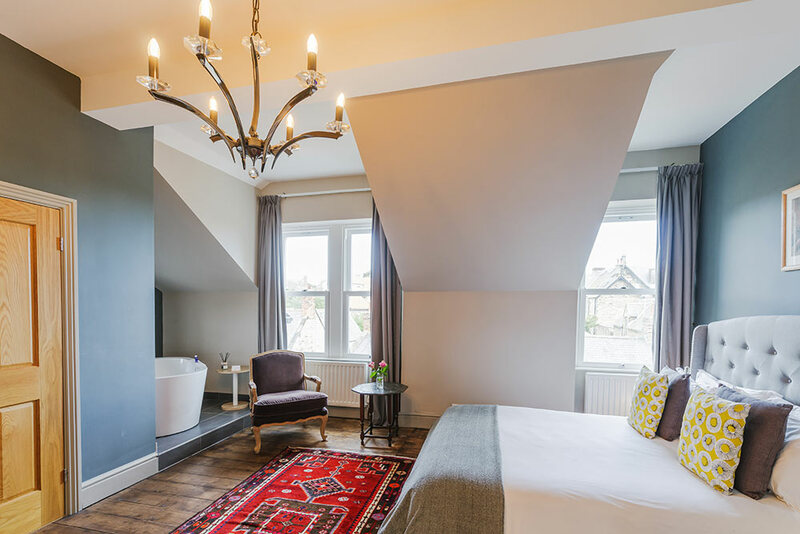 A dog-friendly boutique hideaway in beautiful Alnmouth. Like a weekend with friends. Only better. Welcome to the relaxing beachside hideaway for grown-ups. 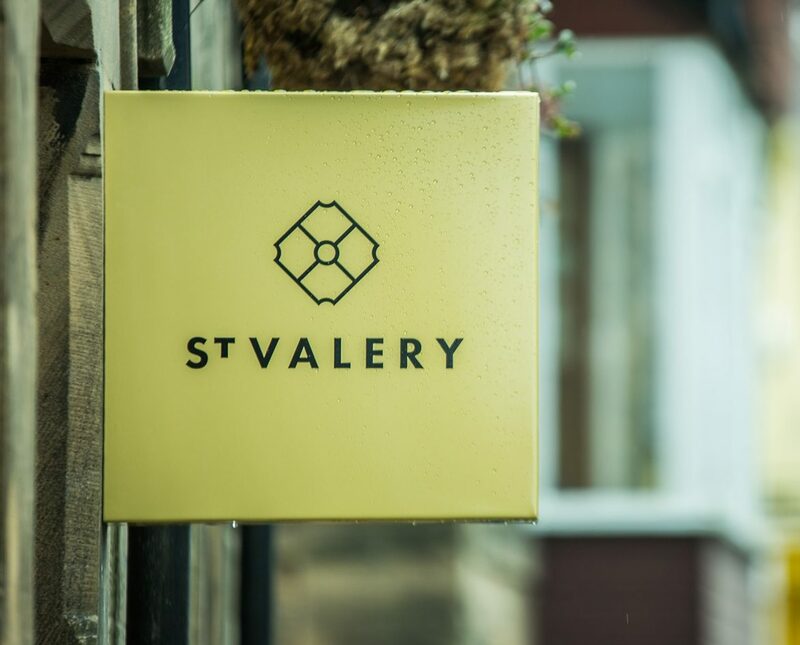 Our guests choose St Valery for our deliciously comfy beds, fluffy towels, luxurious bathroom goodies and gorgeous home-cooked breakfasts. 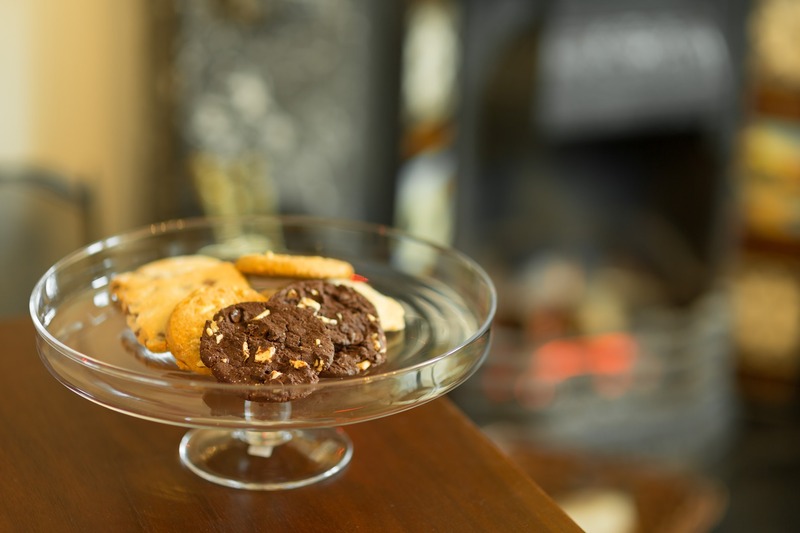 With just 4 rooms, there’s only ever space for up to 8 guests at any one time, so you’ll always feel looked after. 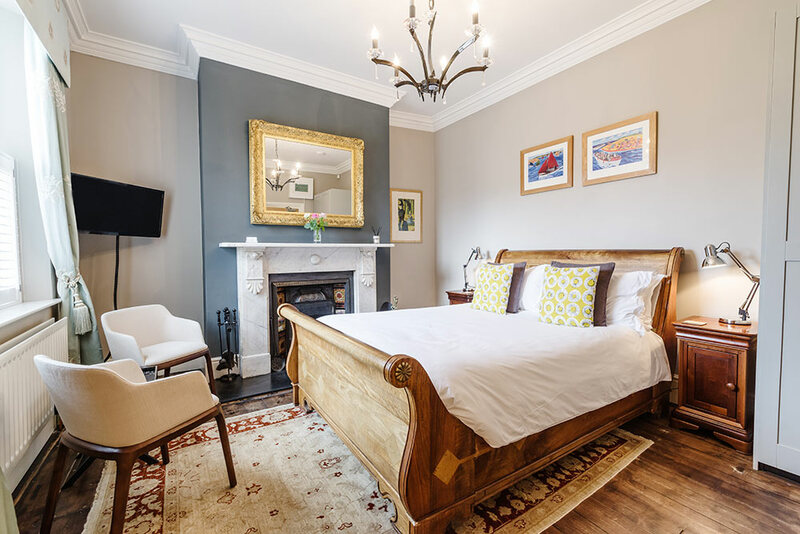 Away from your bedroom, discover our relaxing spaces where there’s always a roaring fire in winter and a decked garden in summer to while away time with a book. Days at St Valery mean you can do as little or as much as you like. 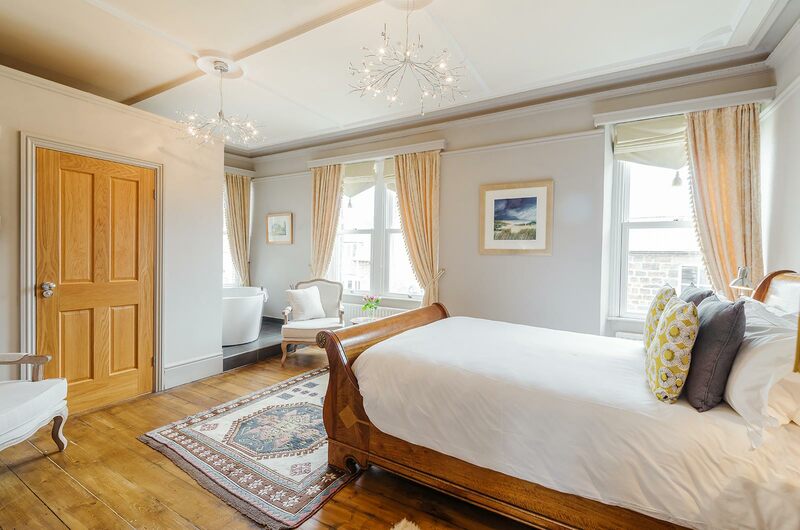 Stay a while, explore – and enjoy your stay in Alnmouth’s only boutique bed + breakfast. We’re right on the High Street, just a few minutes stroll from the stunning sandy beach. Come find us. £170 per night for 2 adults. Well-behaved dogs are welcome in this room. £145 per night for 2 adults. No dogs are allowed in this room. £195 per night for 2 adults. 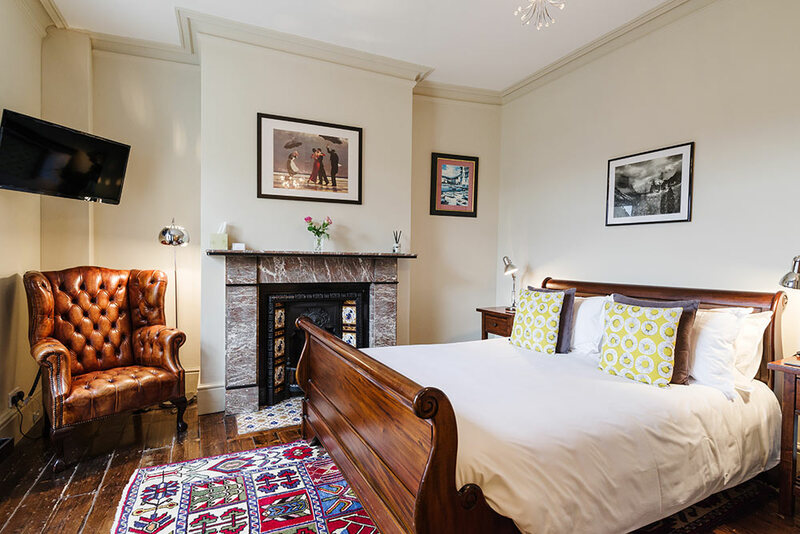 Just four double rooms mean we get to concentrate on the most important thing in the house: you. Love sleep? We think the best ingredients for a good night’s sleep start with the comfiest beds and 300tc Egyptian cotton, and end with silk-filled pillows and duvets. With powerful showers or deep tubs to let the world drift by in, start and end every day with your in-room selection of perfectly sized Elemis Revitalise Me spa products. The prettiest stretch of windswept beach comes with a get away from it all guarantee. We love serving home-cooked, local food we source from suppliers across our stretch of Northumberland. Head to the bottom of the road and catch the sunrise over the beach. Enjoy an early morning stroll on the beach and watch the village wake up before heading back for breakfast. 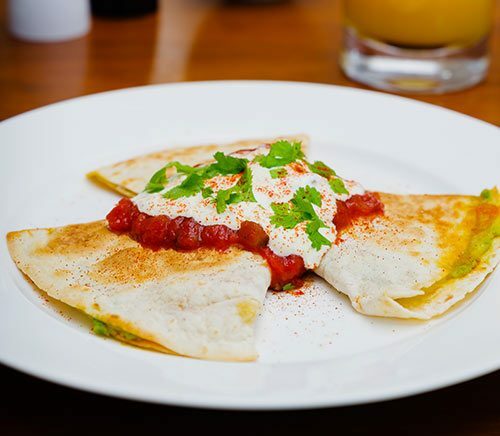 Great local food and creative breakfast dishes all expertly prepared. Tuck in to your heart’s content, every morning at St Valery. We offer pet-friendly accommodation in Alnmouth. Come say hello to Roxy the house dog. A Drink from the Honesty Bar? 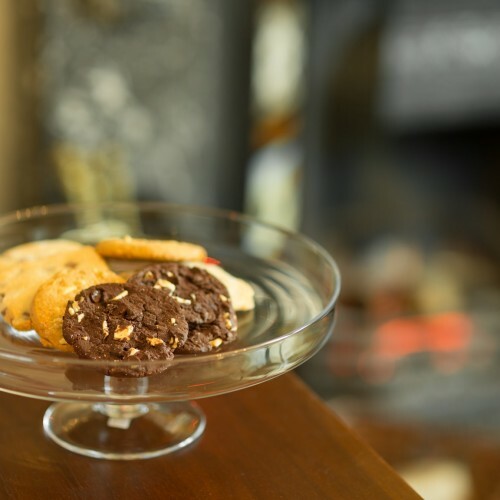 We’ve crafted the St Valery experience to feel like an indulgent weekend with friends. So every day starts with the best breakfast in the village and ends with baked goodies in the afternoon. When it’s time to leave your comfy bed, we’re here to help you make the most of the coast. An adrenalin-fuelled explorer or time poor pleasure seeker, your time with us is yours to spend your way. From booking a day’s spa treatments to coasteering lessons, heading out for your beachside picnic with a St Valery Hamper, to organising bike rentals, just leave it to us. 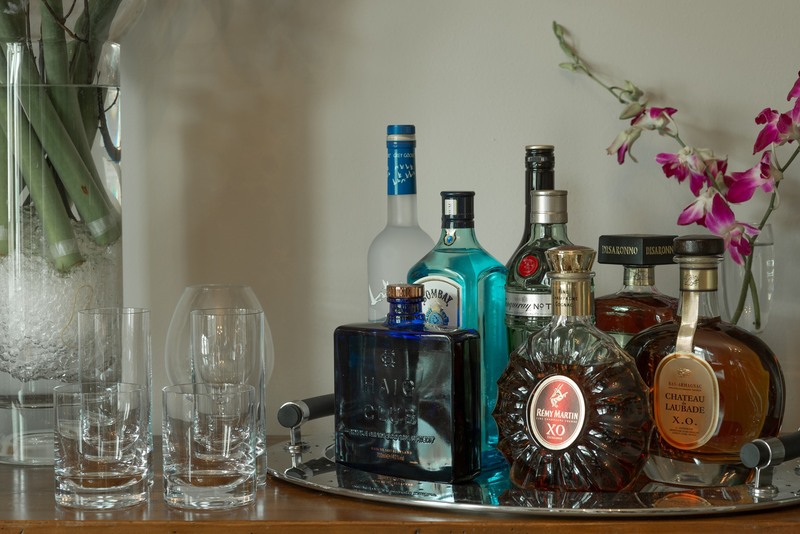 And when it’s time to return, you’ll find the best kind of honesty bar – one we’ve stocked with everything you could wish for. 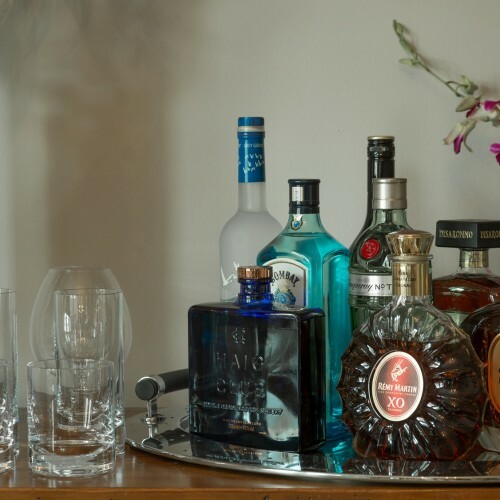 Enjoy an afternoon snifter, a pre-dinner pick me up or a post-dinner wind down – and when you’re feeling peckish, we book the best tables in the best spots. 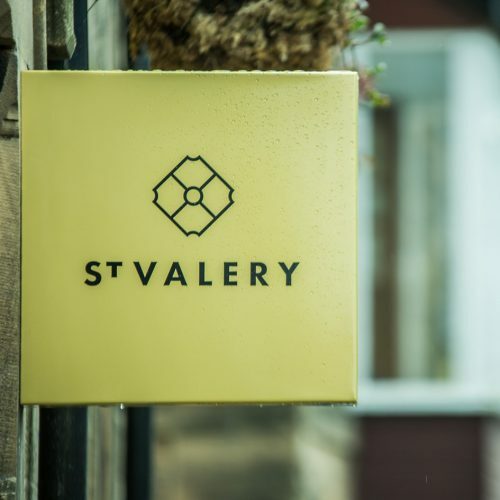 Come to St Valery. This is B+B as it should be.